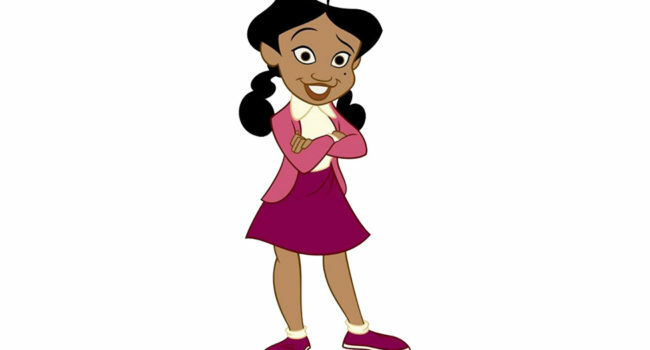 In The Proud Family, Penelope “Penny” Proud is the main character who wants to live a normal teenage life, although her parents forbid her from going on dates with boys. She’s a talented singer and a straight-A student. Penny likes to wear her hair in curly looking pigtails. 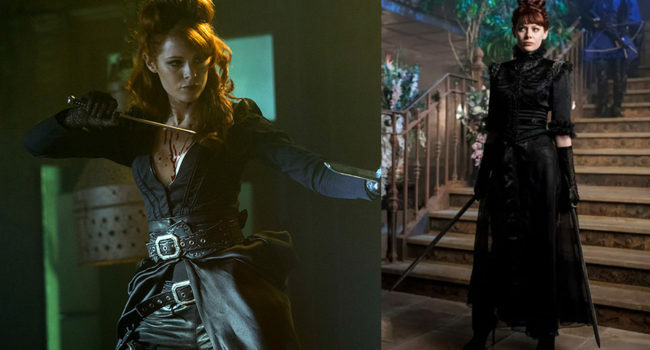 In Into the Badlands, The Widow (Emily Beecham), also known as Minerva, is the Baron of Oil, succeeding her abusive husband after she murdered him. The Widow is one of the best fighters in the Badlands, giving Nathaniel Moon, Sunny, and others plenty of trouble, specializing in hand-to-hand combat and dual-wielding swords. In Fantastic Beasts: The Crimes of Grindelwald, Nagini (Claudia Kim) is the main attraction of a circus freak show. As a Maledictus, she carries a blood curse that will eventually transform her to a snake fully. At the circus, she befriends Credence Barebone, who does menial work there. Phantasma is a phantom ghost who makes appearances in Scooby-Doo and the Ghoul School and OK K.O.! Let’s Be Heroes. She attends Miss Grimwood’s Finishing School for Ghouls. She has a playful, wacky personality, and can as a ghost, can become intangible and float through objects. Monique (voiced by Raven-Symoné) is Kim Possible’s best friend outside of Ron Stoppable. She is friendly, down-to-earth, and extremely fashion conscious. Paige Matthews (Rose McGowan) is the half-sister of Piper and Phoebe Halliwell from the 1998 show Charmed. She is the mischievous one of the three, often indulging herself and getting into reckless behavior. In Spider-Man: Into the Spider-Verse, Peni Parker is a Japanese-American student who pilots a mech suit called SP//dr through a psychic link with a radioactive spider. For this costume, you’ll have to be a bit crafty, attached the pink ribbon along the v-neck of the sweater. Add a cat face and yellow cat ears to your backpack for extra credit points. In Apex Legends, Lifeline (real name Ajay Che) is a child of wealthy war profiteers who left home to work for a better cause in a humanitarian aid organization. As a combat medic, her abilities revolve around healing and reviving her squad, and she shines in times of crisis.